Hi everyone! Monday, July 23, 2012 starts the first day of LJAY HEALTH 30 days of eating no refined sugar challenge. The challenge will end on Friday, August 24, 2012. If you are looking to see increased fitness results or just an improvement of overall health you should join the challenge. This challenge will also test your mental strength as well! You can also find the Facebook link on the left side of this screen and click the Like button. The Facebook page will consist of other people who are also doing the challenge. Share ideas, stay motivated, share results all on the page!! Refined sugars consist of foods such as cakes, cookies, candy, table sugar, foods with high fructose corn syrup (donuts. chocolate, certain cereals, vending machine snacks etc. Eliminating sugar from your diet stabilizes your blood sugar levels. When you eat foods that contain sugar, your pancreas releases insulin to help redistribute the sugar in your blood to your cells for energy. Your body stores excess sugar in your muscles and liver, according to LiveStrong.com. Depending on your body’s response, consuming sugar may cause spikes in your blood sugar or glucose levels. When you eliminate sugary foods, you reduce these peaks, stabilizing your blood sugar. 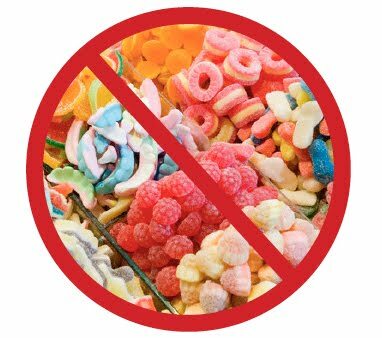 Eliminating sugar also reduces food cravings caused by drops in blood glucose, ridding yourself of the up-and-down pattern of your blood sugar levels. In 1800, the average person consumed about 18 pounds of sugar per year. In 1900, individual consumption had risen to 90 pounds of sugar per year. In 2009, more than 50 percent of all Americans consume one-half pound of sugar PER DAY—translating to a whopping 180 pounds of sugar per year! Sugar is loaded into your soft drinks, fruit juices, sports drinks, and hidden in almost all processed foods—from bologna to pretzels to Worcestershire sauce to cheese spread. Here is a very interesting articles posted by MenHealth identifying 20 Most Sugar-Packed Foods. Join LJAY HEALTH in this challenge and help spread the word about this challenge. I am very excited about this challenge! I am also very excited about this challenge! Now, you’re speaking my language! Did you know that you can be addicted to sugar? Yes- those nutritionally bankrupt white flour, sugar, hydrogenated oil combos we call donuts, Hawaiian rolls, mashed potatoes ,french bread and Frosted Flakes, in addition to ice cream, cookies, and pie, do nothing for your body but condition it to mess up your body’s sugar/insulin balance. THAT’S what’s causing the type 2 Diabetes plague in America, and I encourage everyone to try getting off the sugar roller coaster and eating lean meats, eggs, cheese, soy/legumes, lots of veggies, and moderate fruit. I have lost 17 pounds by ridding my body of refined sugars. It’s not just the Snicker’s bar and Chips Ahoy that are the problem. See, simple starches like white rice and potatoes instantly convert over to glucose- sugar. Awesome! Glad to have you in! You never know Jennifer! You’ll be surprised. Do the best you can!! pulling for you L-Jay and all the others that face the challenge!! I’m afraid that I am way ahead of you all tho….but only because I’m diabetic….. 😦 You will find the 2nd week is when the cravings usually hit….but if you can pass that you’ll be flying home! I find when my cravings hit (diabetics get really bad sugar cravings…part of the beast I’m afraid) go with fresh fruit to fight it! You get the sugary taste with out the sugar……good luck everyone! Good luck – sounds a very worthwhile challenge. I’d say I ate very healthily but in the last month I’ve bought two pounds of sugar! I read in an inflight magazine a few years ago that if you eat sugar four or more times a day, it greatly increased your chances of getting pancreatic cancer. No idea if this has been proven but I can see it as a possibility. Oh, I keep trying to do this – but lose motivation! I’m def in on this one. make sure the dried fruit isn’t sweetened! they do that sometimes! Thank you! Will watch out for this! Glad that you are joining Claudia! Just make sure that the dried fruit isnt sweetened. Try to stick to natural fruit as much as possible! Thank you – might try to stick with fresh fruit anyway! I’m on my way as of today! I’m going to join you on this challenge as I aim to get my health and my weight back. But it will be hard to avoid the sugar added to tinned foods, sauces, yoghurts etc. Can I have honey? Or is that too much like a sugar? Honey is fine. Just remember portion control with honey! Be sure that it is all natural and organic is even better! Good luck and keep me posted. Does this remind anyone of a recent challenge? Glad to have you on board!! Great Challenge. If you need the taste of sugar do not use sugar substitutes they are more deadly. Use Stevia Green Leaf Stevia. Looking for a Safe Sugar Substitute Like Stevia? Be Careful What You May Find. Good Luck. With the rest of what I have seen you do this will be no sweat. I have given up refined sugars just by eating more whole foods, BUT! I’m down for this challenge! It will a) make me tripple check labels and b) give me a reason to avoid an ice cream social I have to deal with on August 1st! LOL, Yes we have the ice cream social all the time at work so I now the challenge 🙂 Glad you are joining, this will be fun! I’m in too! I did this a couple of years ago…completely avoided sugar for several months (it’s much easier once you get past the first two weeks), and was able to lose 30 pounds! Unfortunately, I went back to my bad habits and gained it back. So, thanks for the motivation to try it again. Good luck everyone! Glad to have you in Denise!! Will be awesome! Yes! Yes! I love the challenge! Refined sugar is in everything! Eating more fresh stuff is the way to go. Sugar is the WORST not to mention it’s addictive! I am trying so hard to stay away from it. It’s in everything and I have a huge sweet tooth. GREAT IDEA, great challenge. NY Times Magazine did an article on the toxic effects of sugar not too long ago. This is an awesome area of focus for anyone wanting to achieve better health. Thank you for taking it on! Thank you! Is a major issue causing many chronic illnesses. I’m happy that we are starting this!! Ready to hear about some great results!! I’m not sure whether I’ll manage to cut it out completely but I am certainly up for giving it a go and if not cut out, at least massively reduce my sugar intake. Great challenge! Any steps to reduce sugar is a great step! glad that you are joining look forward to hearing about your results!! Awesome. Glad that you can be apart of the challenge. Just stick it until the wedding and get back on immediately afterwards! Excited! Surprisingly I am feeling good so far this morning, usually by now I have had my cereal and coffee with splenda. When I quit smoking I felt like this till day 3, then that women smoking the cigarette 5 feet from me (lets just say licking nicotine off her teeth was going through my mind ><). Addiction, it make ya be crazy! Wow that’s great! Good job so far. Keep it up. Gotta break through it! I’m up for it! Gotta to go home a read some labels. Thats right! You’ll be surprised!! This would be a huge challenge for me! Let’s see if I can do it too?! Jumping on the Bandwagon! NOOOOOOOOO! Next you’ll want my soul! I broke my sugar addiction and feel so much better. You don’t realize how bad you feel when consuming sugar until you cut it out. Good luck to all! This is a very good challenge! Way to go! It is. But good try. You don’t want to temp yourself to have more. Glad you are joining! Have a good day L-Jay! Good luck! It’s tough for the first few days, but as long as you get all that crap out of sight (and out of the house), you’ll do just fine! I am honored to nominate you for The One Lovely Blog Award! Please pick-up your award at http://authenticphotography.wordpress.com/2012/07/25/honored-to-rec…e-these-awards/. Copy and Paste the Award to your blog and follow the rules of acceptance. I wish you many blessings. Congratulations!! Great work. I did this at the beginning of the year. I rarely want sugar now an foods naturally taste so much sweeter. Everyone should do this! Good luck with the challenge, and thank you for stopping by today. I hope you can make it through the whole 30 days- sugar is a toughie! Thanks a lot! Day 3 almost over and it is going good so far. Will keep you posted. This is my main problem, too many sugary drinks, two heaped sugars in my tea, not too much chocolate or biscuits but it all adds up doesn’t it. I’m totally joining this challenge. I have my Tough Mudder race in a little over a month…this is a perfect motivator for me! Thanks so much! You can do it! We are on day 6 today so jump on board! Glad to have you. Check out Fb page for updates!! This is a great post about the dangers of sugar and just how much sugar we actually consume! I came to the party a little late, so I’ll commit to joining you for the month of August. I’ll be looking for support here!! I definitely want to attempt this. In my journey to get healthy Sugar is my only enemy. When I do attempt this I will alert you for support because I will be needing it. I might be a few days late but I’m in! I will just carry it through beyond your end date. Thanks for the motivation. More than a few days late, but you’re on. I have done it before with a friend it is now easy task but you feel good after. And after a few days your body adjusts and you no longer feel craving for things with it in, so my advice to you all is stick to your guns and don’t give up you will feel better at the end. awesome! 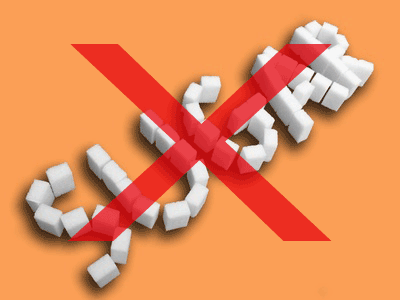 i am doing a 21-day sugar detox in september – no additional sweeteners, no fruit, no honey, no syrup, no alcohol!! What an awesome challenge! I am not yet there mentally (I bake…a lot) but maybe one day… Right now if I go a few days with no sugar I cave and sugar gorge. blah. Anyway, I think it is awesome what you are doing. How is it going? It’s going great so far! There are a ton of people participating. We are on day 16 today. Almost there. Most people say they have a lot of energy and at this point in time the sugar cravings have gone away. Good for you! What does your daily diet look like? Did you feel energy increase right away? I am late, but I am accepting your challenge! My month will just run from August 8, 2012 to September 9, 2012 (and hopefully beyond). Thanks for visiting and following my blog http://fromfat2skinnyin1year.wordpress.com! You are definitely an inspiration! OK, since there are other late comers, and since I can’t resist a challenge, AND because I know I need to do this, I am jumping on board. Starting today and going until September 9th. Awesome! Thanks for joining. I want to keep it up even after the 30 days! Yes! I am sure you can do that! I’m impressed. Did you use Splenda or Stevia during the challenge or go cold turkey on everything sweet? No more than one splenda or stevia supplement a day. Was tough but we got it done! Great idea. Any updates on this? I’d love to know how you’re feeling. Hello! We finished on Friday the 24th. I am feeling great and have a lot of energy. Dont feel so tired anymore and forcing myself to run. Lost about 8 pounds so far. I will posting a video soon on my Facebook page. Facebook.com/ljayhealth. Here is a link to the post video. Hope you find it useful!